Xolo announced Q510s, the company latest Android 4.4 KitKat OS Smartphone for Rs. 6,499. 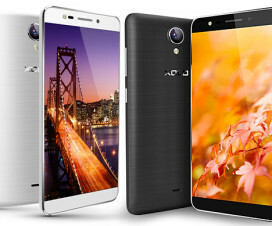 Last month, Xolo Q500s IPS in the 500 series was unveiled by Xolo. So Q510s Smartphone will be competitor to various other Android 4.4 KitKat devices like Moto E, Lava Iris X1 and Micromax Unite 2. All these devices runs with Android 4.4 KitKat OS out of the box. Xolo Q510s has a 4-inch WVGA IPS screen (480 x 800p resolutions), 1.3 GHz Quad-Core MediaTek processor and runs with Android 4.4 KitKat Operating System. 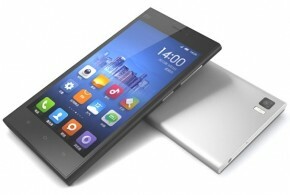 It has 8GB of internal storage which can be further extendable up to 32GB with microSD card. There is 1500 mAh battery on the back with decent standby and talktime. The other features of Xolo Q510s includes 5 MP rear camera with LED Flash, 1080p Video Recording, 1GB RAM and measures dimensions 128 x 63 x 8.98mm. The wireless connectivity options available with Q500s is 3G HSPA+, Wi-Fi 802.11 b/g/n, Bluetooth and GPS and also comes with 3.5mm audio jack and FM Radio facility. The Xolo Q510s Android Smartphone comes in Gold color and is priced at Rs. 6,499.